Dermagen IQ Anti-Aging Cream Review (2019): How Effective is it? 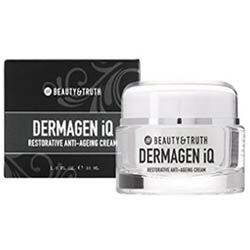 Dermagen IQ Anti-Aging Cream Review: How Effective is it? 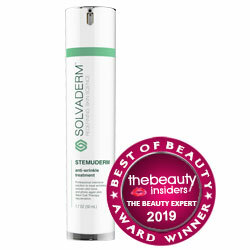 Dermagen IQ is an anti-aging cream manufactured by Beauty and Truth, who are based in the United Kingdom. The product is sold through multiple apparent channels, but the price cited on the manufacturer’s website is £88, which is, as of this writing, $115.40 in US currency. Shipping costs are not included in this figure. The size of the container is not clear, and neither is the returns policies; while the website indicates a money-back satisfaction guarantee, the terms and conditions are unclear. The same product appears to be available through other retailers such as Amazon, who may have cheaper prices; however, their return policies will vary based on the retailer. The manufacturers encourage you to wash your face and neck with a gentle cleanser and then apply the product with an upward-smoothing motion. They also recommend making use of it day and night. While Dermagen IQ seems to include ingredients that have some history of genuine support for healthy skin, and is available in a range of retail outlets, it also has no clinical evidence supporting the claims for its functions – many of which are rather strong. In addition, the price for the product is quite high, and given that it is sold from the United Kingdom, you would need to add shipping and handling charges in order to get hold of it in the United States. There are beauty products available for every budget and pocketbook in the current marketplace, and you should keep in mind that cost and quality are not always closely connected. Before you spend your hard-earned money, be sure to do your research and choose the products that are right for you.